"O Tannenbaum" is a traditional German folk song, (also known as O Christmas Tree) which refers to the firs evergreen qualities as a symbol of constancy and faithfulness. The Christmas tree has been used to celebrate winter festivals for thousands of years, and was also used to decorate the home during the winter solstice, as it made one think of the spring. 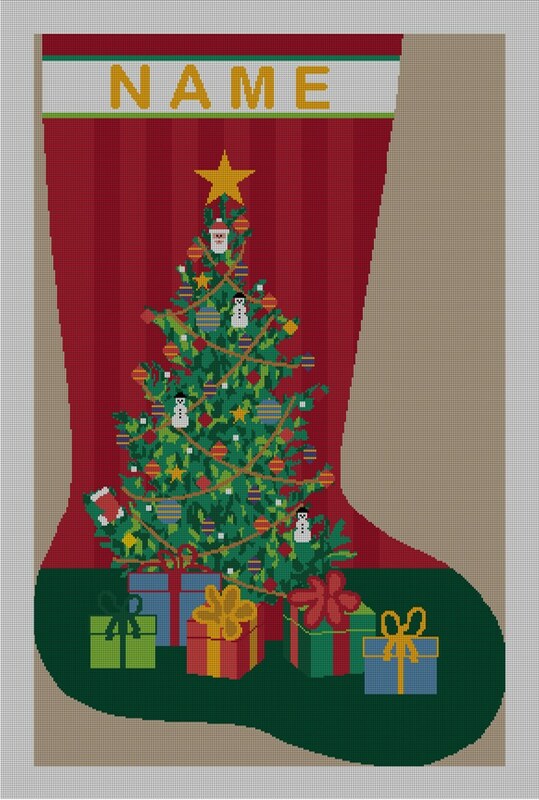 Stitch our O Tannenbaum Christmas Stocking canvas, it will add tradition and beauty to any holiday mantel.